Four men sentenced this week for illegally taking walruses in 2015 must hunt for Point Hope elders and clean whaling equipment as part of their plea agreement. The four Point Hope residents — Adam Sage, 24, Michael Tuzroyluk Jr., 21, Guy Tuzroyluk, 27, and Jacob Lane, 24 — pleaded guilty this month to illegally taking and wasting walrus at Cape Lisburne in 2015. They were charged in September 2016. The defendants were qualified to take marine mammals for subsistence as long as they followed federal regulations, prosecutors said. Walruses can be legally killed by Alaska Natives provided that the meat from the animals is properly harvested. Point Hope is a village of about 700 on Alaska's northwest coast. Subsistence hunting, fishing and whaling are crucial to the economy and way of life there. 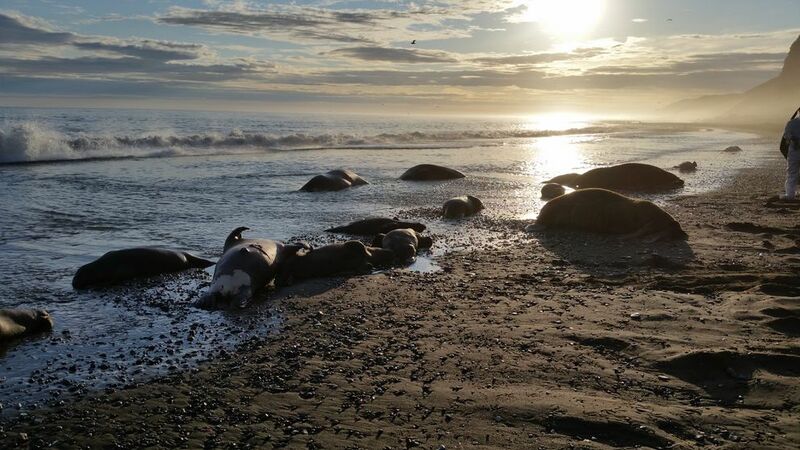 Large herds of North Pacific walruses haul out on the beach at Cape Lisburne, about 40 miles northeast of Point Hope on the Chukchi Sea coast and within the Alaska Maritime National Wildlife Refuge. On Sept. 2, 2015, while Michael Tuzroyluk manned the boat, Sage and Guy Tuzroyluk shot four walruses at Cape Lisburne and harvested only the animals' tusks, according to the plea agreement. The two men got close enough that hundreds of walruses "stampeded off the beach in a panic," the agreement says, causing some walruses to be trampled to death. Two days later, the three men returned to Cape Lisburne, along with Lane. 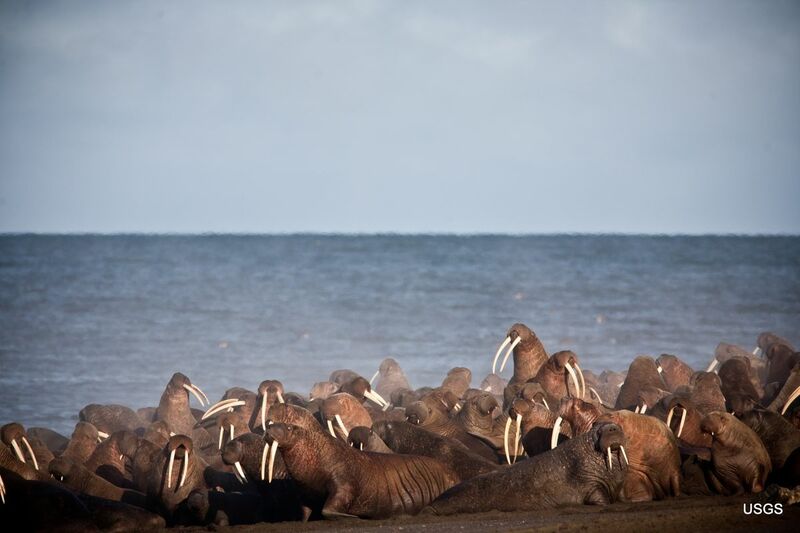 More than 1,000 walruses were hauled out on the beach. Again, four were shot, and the herd stampeded. After the two stampedes, employees of a nearby radar site took photos of the walruses, the agreement says. They reported seeing about 30 dead walruses, nearly half of which were calves. The four men pleaded guilty for harassing the walrus and causing the herd to stampede. Their plea agreement, finalized Monday, says they must return the walrus ivory and pay $1,000 restitution for walrus conservation projects on Alaska national wildlife refuges. They must make public apologies, and they can't hunt walrus for a year. During their three-year probation, they must also perform 500 hours of community service, to include special terms suggested by the Native Village of Point Hope Council, said Stephen Cooper, U.S. district attorney. The four men must subsistence hunt for Point Hope elders; clean hunting equipment, buildings and grounds for Point Hope whaling captains; and give 12 public presentations about hunting ethics in coastal villages. Acting U.S. Attorney Bryan Schroder, in a statement Thursday, called the terms a "unique and culturally informed resolution to serious marine mammal violations." The tribal council's executive director was not immediately available for comment Thursday afternoon.